Fact: I hate giving gift cards. Granted, I don’t necessarily dislike receiving gift cards since it’s still a gift, but giving a gift card tends to make me feel like a cop-out. 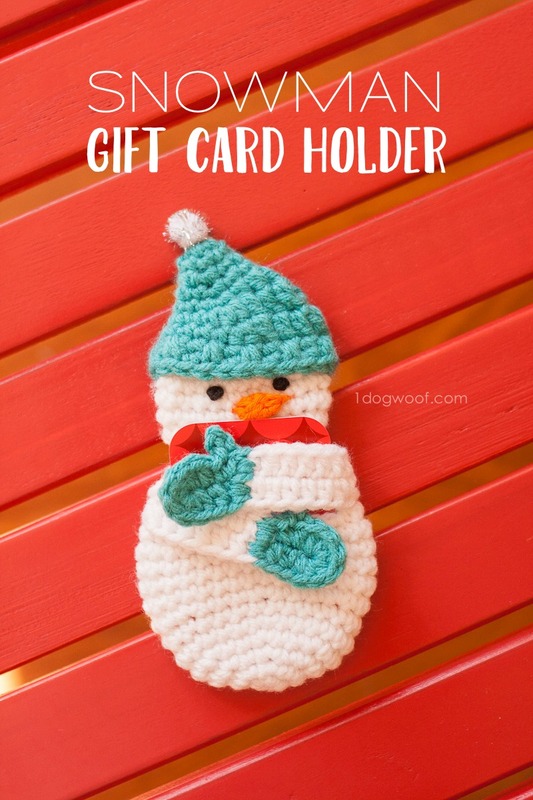 Giving a gift card in a fun holder like this owl pouch or this snowman gift hard holder makes it all ok. You can give the perfect gift (card) with a pretty heavy dose of cuteness too. 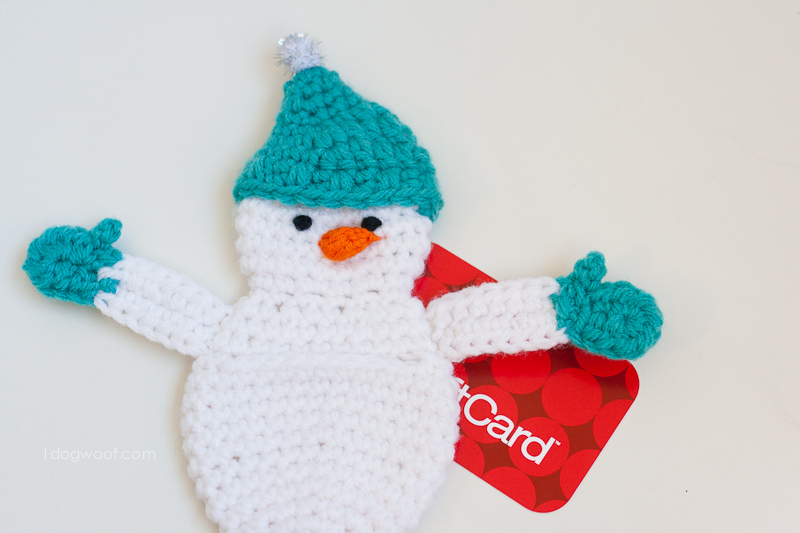 I love that this snowman hugs the gift card like she’s going to transfer that hug to the person you’re giving the gift card to. 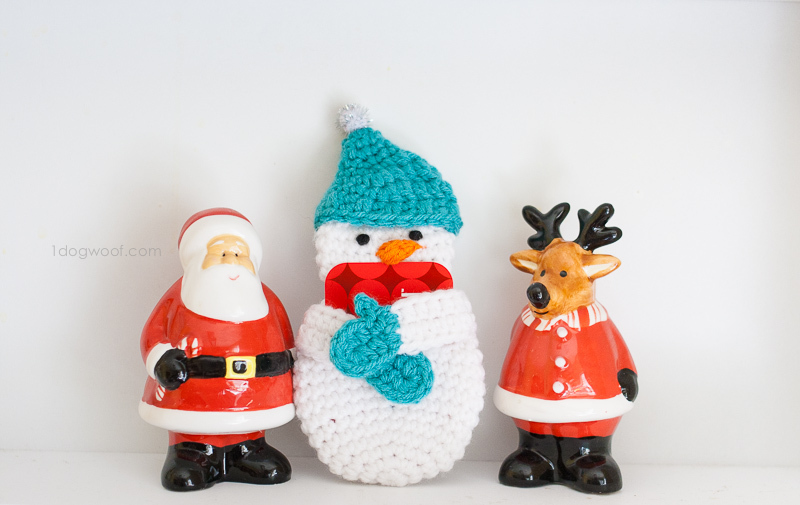 ‘Tis the season for warm fuzzies! 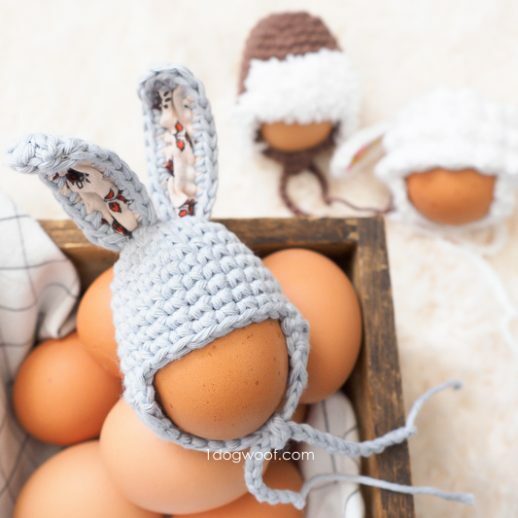 This small project comes together quickly in an evening, and is a great scrapbuster too, since the mittens and hat don’t use up much yarn at all. Worsted weight yarn in white and another color (A). Close, fasten off and weave in ends. The left and right hands are oriented so that you are the snowman, and these are your left and right hands. 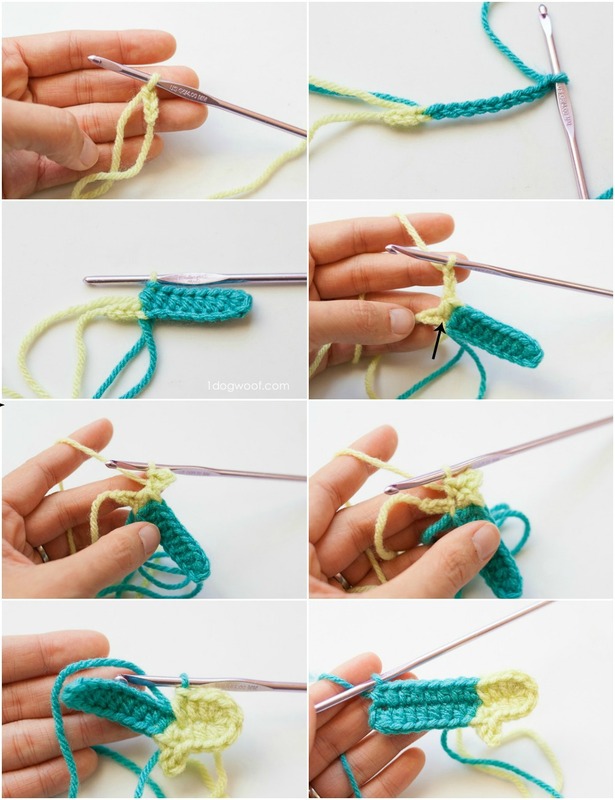 Using mitten color (A), ch 3. Switch to body color (white) and ch 10. Starting in 3rd chain from hook, work 1 hdc in next 8 stitches, changing to color A on the 8th stitch. Work 1 hdc in next 2 stitches, and 6 hdc in last stitch <- this turns the corner. Work 1 hdc in next stitch (*). Ch 3, then starting in the 2nd ch from hook, work 1 sl st in each of next 2 stitches. Work 1 sc back into the same stitch as the hdc (*). Work 1 hdc in next stitch. Change color back to white. Work 1 hdc in each of next 8 stitches. (Optional, work 1 last sc in same stitch to even out the ends). Fasten off, leaving a long tail for sewing to the body. Work 1 hdc in next stitch, and 6 hdc in last stitch. <- this turns the corner. Work 1 hdc in next 2 stitches. Change color to white. To attach, put the arm up against the flattened body, in the way you want the finished arm to look. I attached at the row below where the head and the body meet. 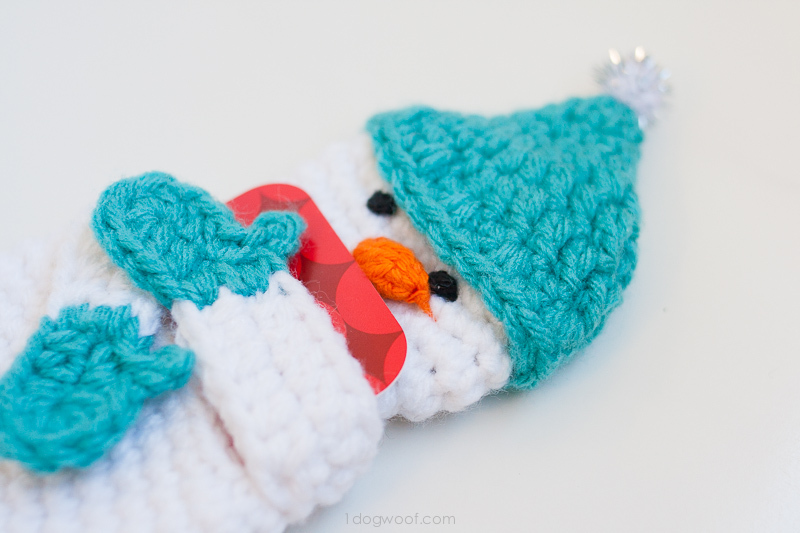 Use the long tail to stitch the arm to the body. Round 9: (Spikes)Ch 1. Work [1 sc in sc of previous row, 1 sc in next stitch] 10x. Work 1 sc in sc of previous row. Sl st into first st.
Fasten off with a long tail to attach to head. 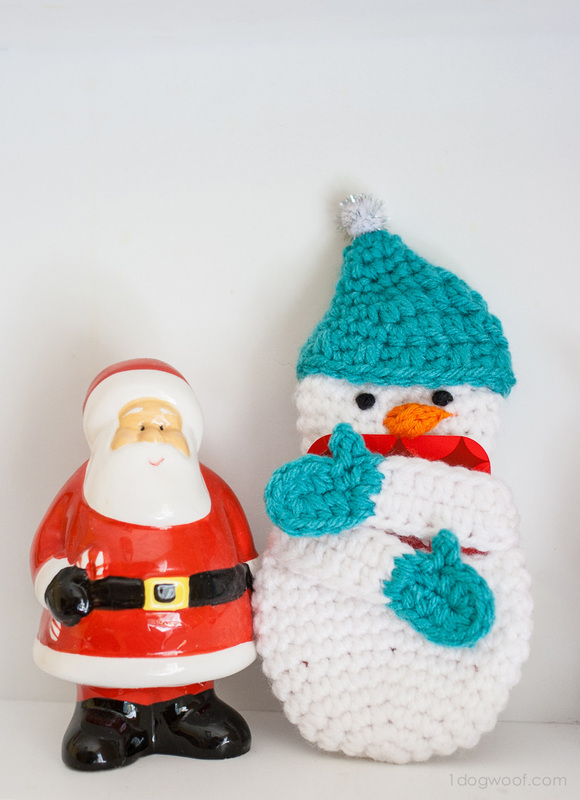 Glue a pom-pom to the top of the hat. For the eyes, work 1 sc into a magic circle, pull tight and fasten off. Thread the beginning tail and end tail into the head and tie a knot to secure the eye. Repeat for the other eye. For the nose, work 6 sc into a magic circle. Cut the yarn, leaving a 6 in tail, and pull through last stitch.Thread the end through each of the 6 front loops, from inside to outside. Pull tight, fasten off. Use the ends to fasten the nose to the head. Alternatively, a felt nose will probably work too. 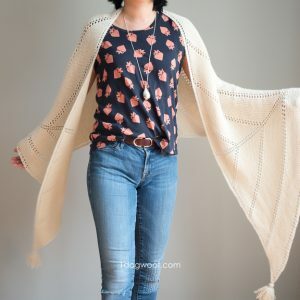 I hope you enjoy this pattern! 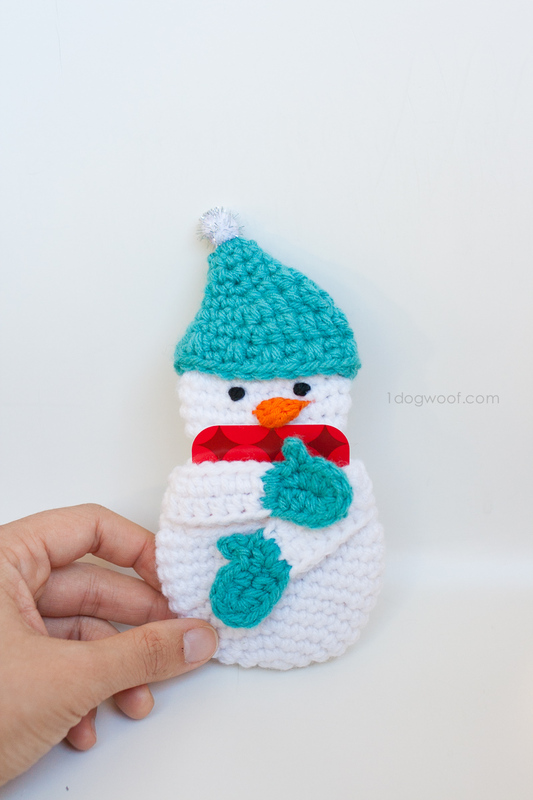 If you’re gearing up for the holidays, check out my other winter-y projects, including this crochet star and a 14″ Olaf doll. 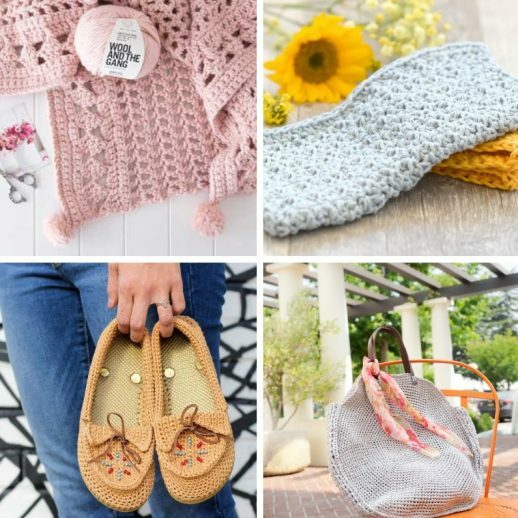 Join me on Facebook or Instagram to see what I’m working on, and share your projects too! 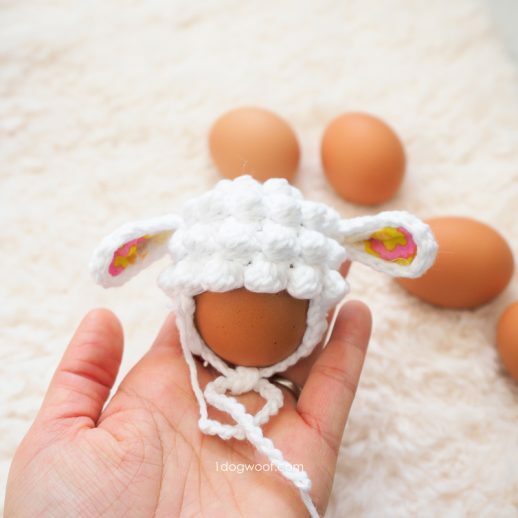 This is too precious, thank you for sharing the pattern. THis has rapidly become my best seller this year!! Thank you for sharing your fabulous pattern!!! Me either! Did you hear back from her? I was lost at row 12….chain 8 and skip 10 stitches. ?? 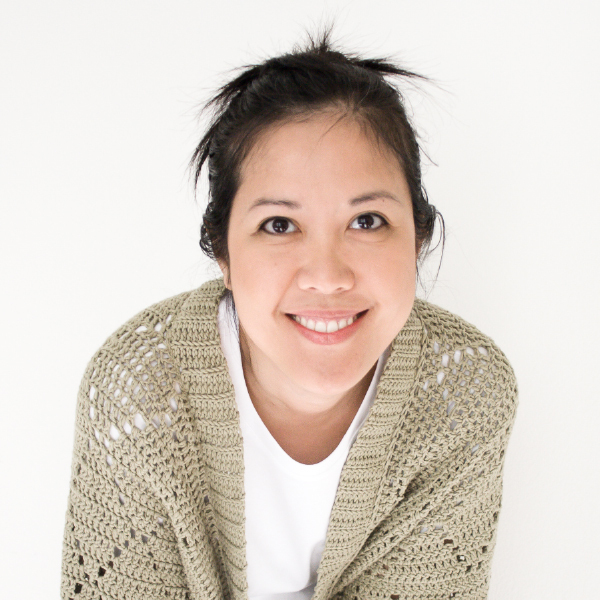 Hi Donna, yes, the pocket is created by skipping stitches in the round. As you keep working around, those skipped stitches are the opening to the pocket. i love your pattern. I have done things like this before. I can see hoe it could be changed into Santa, angel, Mrs. Santa, even a deer. My mother in law does plastic canvas. The first year she did a Santa for the kids ( was buying for all grand and great grandkids. My grandkids thought they were great Christmas ornaments. They did not know there was money in them until a cousin threw a fit because it was not a big gift. They were already telling where on the tree they were going to put them and how to keep them til they grew up to put on their own tree. My Grandkids are boys. 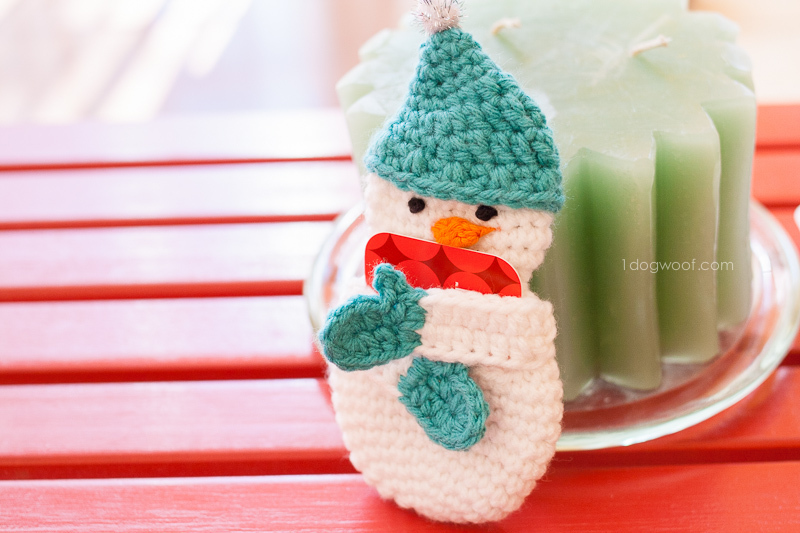 This snowman is so cute, the pattern is perfect and worked up quickly without a problem. I did make a few changes. I made two of the hands and sewed them together so it is right side on each side. Used safety eyes and made him a matching scarf! 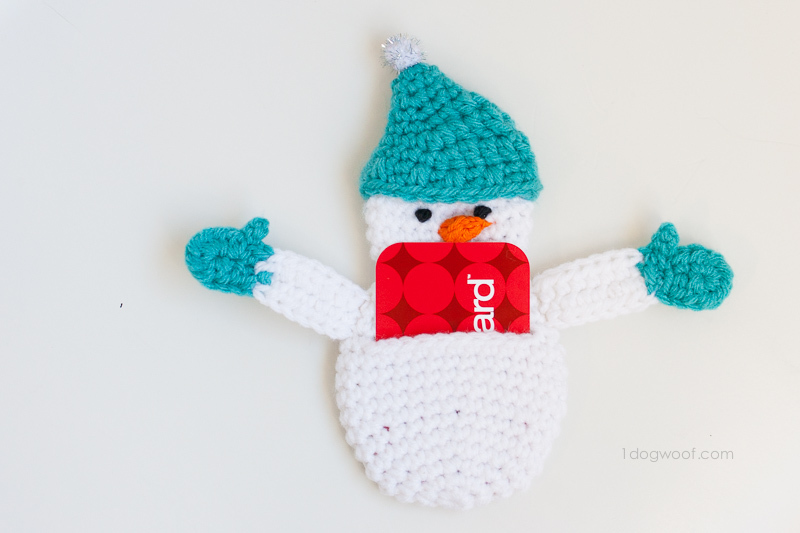 (chain 40 and half double crochet) I also used a bit of Velcro on his hands. Hi Debbie, Hoping you can help me. I’m not sure where I went wrong but where are the instructions for the head? The body includes the head. Just follow the pattern. Hope this helps. 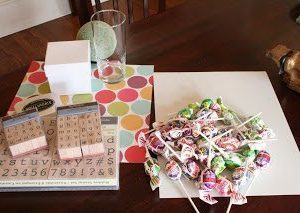 This is just so cute and the perfect thing I was looking for to hold the gift cards I am giving as gifts. Thanks so much for sharing the pattern and your expertise! Happy holidays! 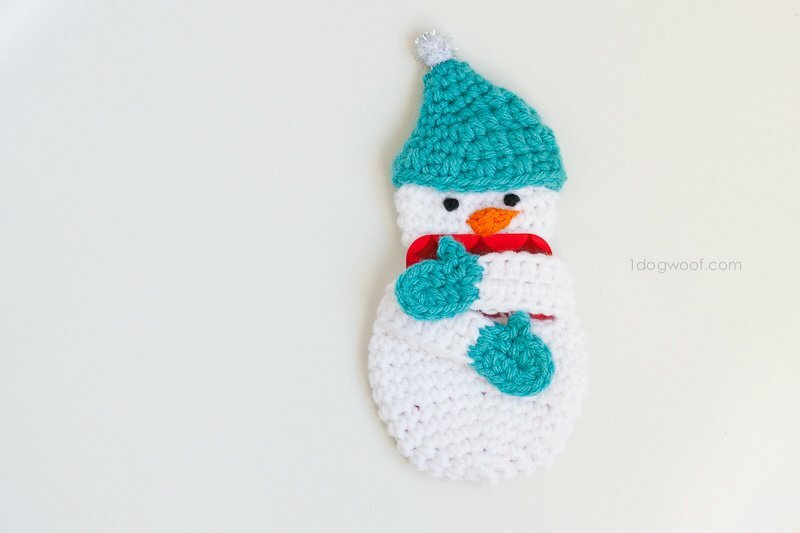 I am just in the process of making this snowman, Can you please help me. Where is the head instructions? I’m hoping you still check these comments as I know this was posted few years back; but I’m hoping. I had the same problem and used the head pattern for the unicorn gift card holder on this same website. It worked just fine. Hope this helps! The head is in the body instructions. Just follow the body pattern and it will make the head at the end. Hope this helps! Thanks for the pattern. It’s super cute. Such a great idea. I can’t seem to get the hat size right. It seems much too big.